As you get older you discover that getting a restful sleep becomes more complex than it was when you were younger. Unlike when you were a kid, sleeping doesn’t come off as automatic. There are just so many distractions and complications in one’s professional and personal life that makes it just hard to doze off peacefully. When’s the last time you slept so well that the next morning you felt refreshed and full of energy? It’s tough to name one restful night of sleep these days that’s for certain. Essentially, there’s some sort of procedure in order to obtain a restful bedtime. A soothing bath at night is one good example. A gently-lit atmosphere in the bedroom can also set the tone for sleeping. There’s also proof that great sleep hygiene serves as the solution to long-running sleeping problems. These are a few things we can do in order to ensure that we sleep well at night and the following nights. As we all know, a good sleep constitutes to multitudes of health benefits, so it’s crucial that we don’t underrate the importance of a relaxing slumber. Getting to fall asleep fast and well is all about the mechanisms in your brain telling you to do so. Thus, creating bedtime routines and following them every night can be helpful in setting your brain to recognize it’s time to sleep. One of these routines is laying out your nightwear. If a bedtime routine is determined and regularly practiced, it’ll be easier for your brain to switch into its sleeping mode. When it gets dark outdoors, the body naturally frees melatonin, a hormone that controls sleep and wakefulness. Said release has its peak from 2-3 in the morning. Hence, the release of melatonin makes you feel drowsy. Any kind of light from your phone, computer, or any other electronic devices interferes with the emission of this hormone. As a result, you find it harder to fall asleep when you’ve just exposed yourself to something bright prior to bedtime. Even if you fall asleep, a good quality of doze is not guaranteed. Surely, you have heard that the use of any device should be passed up at least an hour before your sleep time. 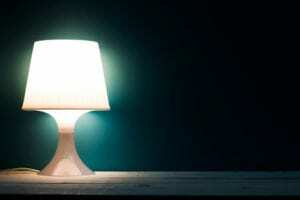 Dim lights in the bedroom can help, too. Eating something heavy or spicy near your bedtime can lead to your digestive system functioning longer than it should be. Plus, anything that has high amounts of caffeine or nicotine work as a stimulant, thus, impedes in your capacity to sleep easily. To make sure this doesn’t happen, prevent taking substances with high levels of caffeine or nicotine 4-6 hours prior your bedtime. Those who believe that alcohol can help with sleep; that only works in the beginning. Eventually, it prevents you from obtaining deep, soothing and recuperative REM sleep your body requires to feel reinvigorated. 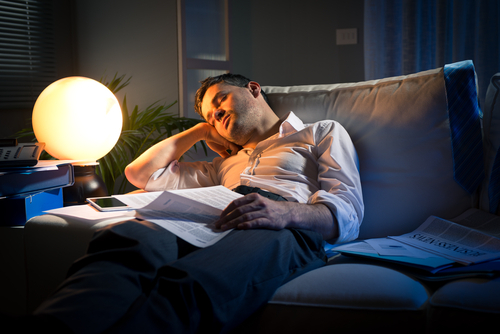 Sounds of vigorous intensity can lead to periods of restlessness in sleep. When this happens, your quality of sleep is generally compromised that you feel highly exhausted the following day, stopping you from functioning efficiently. For example, chaotic traffic sounds lead to heightened cortisol levels, which leads to poor slumber. Hence, the content of what you’re watching or listening to before going to bed makes a difference in your ability to sleep peacefully at night. Calming hymns or melodies or a simple conversation with a loved one can help your body and mind find solace, which helps in getting peaceful sleep. Power naps is common these days with the on-the-go lifestyles most people have. However, researches have demonstrated that sleep is better when done in a single and continuous cycle. Thus, daytime naps could actually be an impediment to getting a calming sleep. Besides, surely you have noticed that it’s harder to sleep at night when you’ve already taken naps in the afternoon. Moreover, eating foods rich in vitamin B6 for breakfast has been said to enhance the quality of sleep, as well as getting exposed to the sun for at least 10 minutes in the morning.